VELP offers analytical instruments to simplify your daily activities and ensure maximum standards in terms of accuracy and efficiency. 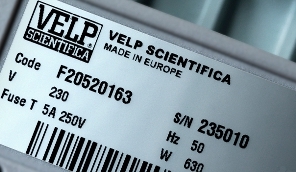 VELP provides innovative and advanced analytical instruments to monitor the environment and contributing to improve the health of natural resources where we operate and live, including Thermoreactors for COD, BOD Equipment, Flocculators, Incubators and Nitrogen Analysis (Kjeldahl and Dumas). Not only plastics, polymers, rubbers, soaps and detergents, but also petrochemicals products, including crude oil, fuel and lubricants. As these resources are becoming more valuable, VELP Scientifica offers many analytical instruments to test them, according to offical methods (e.g. Kjeldahl, Dumas, Soxhlet, Randall, etc.). VELP offers an extensive range of analytical instruments and solutions designed to support the analyst during all stages of the manufacturing process and control of pills, vaccines and similar correctives. Our knowledge is also expandable to a range of life science research products, including biochemistry, biology and microbiology. A valuable driver in VELP philosophy is the importance of educating students and lab analysts. Universities, chemistry institutes and other learning centers can find in VELP an excellent partner for the development and improvement of students’ skills.